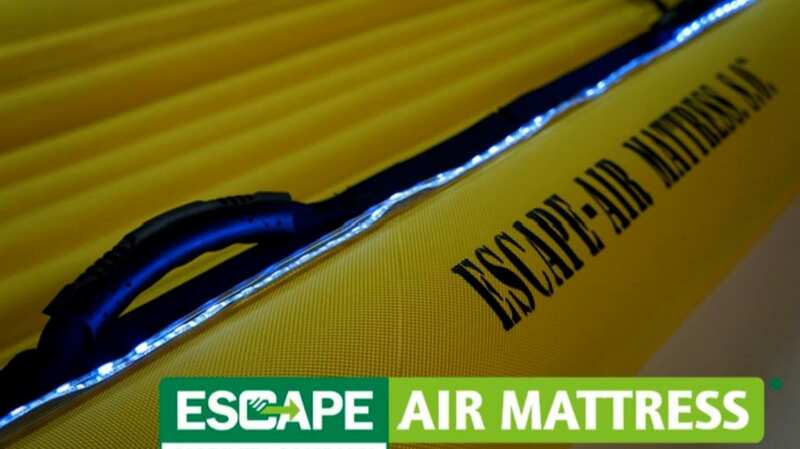 Recently Escape Mobility Company launched the Escape-Air Mattress® - the ultimate inflatable rescue and evacuation mattress for land and water. Both the Standard Edition (SE) and the Special Operations (SO) version are quick to inflate and can be utilized in various ways. It can tackle all terrain, is compact to store and easy to carry. The Escape Air Mattress® is also very suitable for evacuating people in case of an emergency in a building and can easily be used to descend staircases.